It’s that terribly sad time of year when the children have returned to school and suddenly summer seems to be nearly over. There was no gentle slide towards the impending autumn; rather it happened overnight in the blink of an eye. One day everyone was swimming, with long leisurely lunches outside, and everywhere one turned holiday-makers swarmed like wasps over hot pavements. Then the next moment the children were back at school, slipping back into their routines as if the long summer-break had never happened. Suddenly the traffic is a little lighter, and the tourists have halved in number; and quite co-incidentally the weather has dropped by several degrees. To be honest though, I don’t actually think it’s the slightly cooler days that have made it all feel somehow different, it’s the fact that in France La Rentrée doesn’t just apply to schools; it actually applies to almost everything – restaurants re-open for business lunches, businesses re-open, government offices that have run on a mere skeleton staff return to full capacity, and in short France goes back to work and gets serious again. It’s a system quite unlike anything you may be used to, but it seems to work. 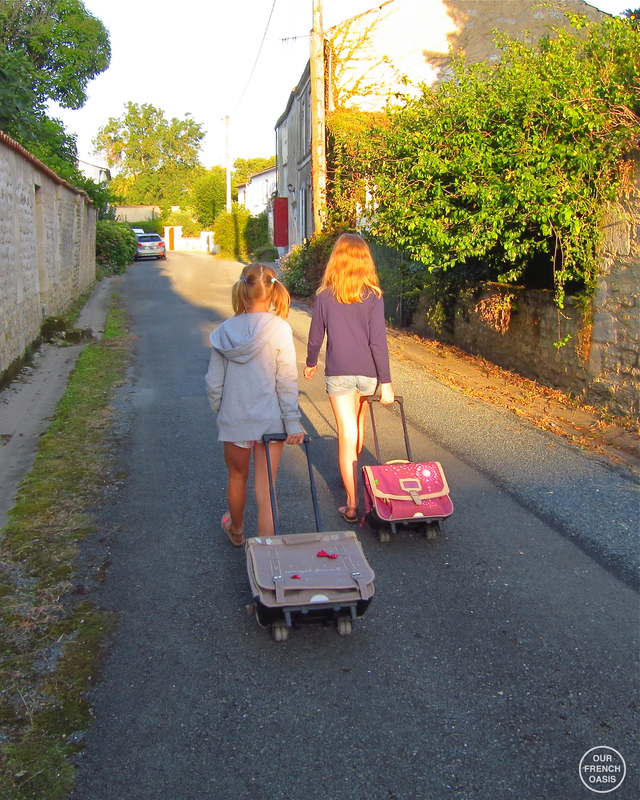 The two youngest girls and Roddy walk to school on these lovely sunny mornings, gallantly trailing their pull-along bags; nearly every French child at primary school uses a pull-along and it certainly makes a great deal more sense than carrying backpacks groaning with books which are almost the same size and weight as the child carrying them. 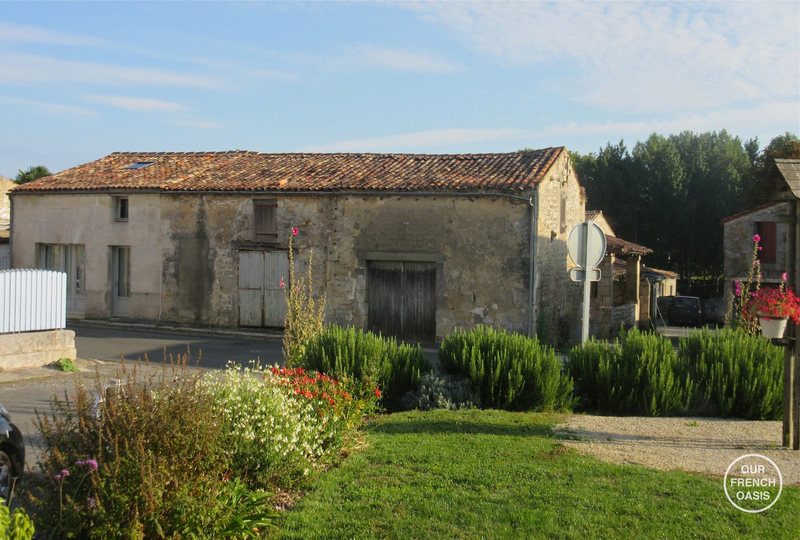 As a result each morning and afternoon the old narrow streets of the village reverberate to the unmistakable sound of school-bag wheels rolling along the pavements. I drive the older two children to their school some 8kms away. Once again we’re back to our school routine and once again admiring all the area has to offer. 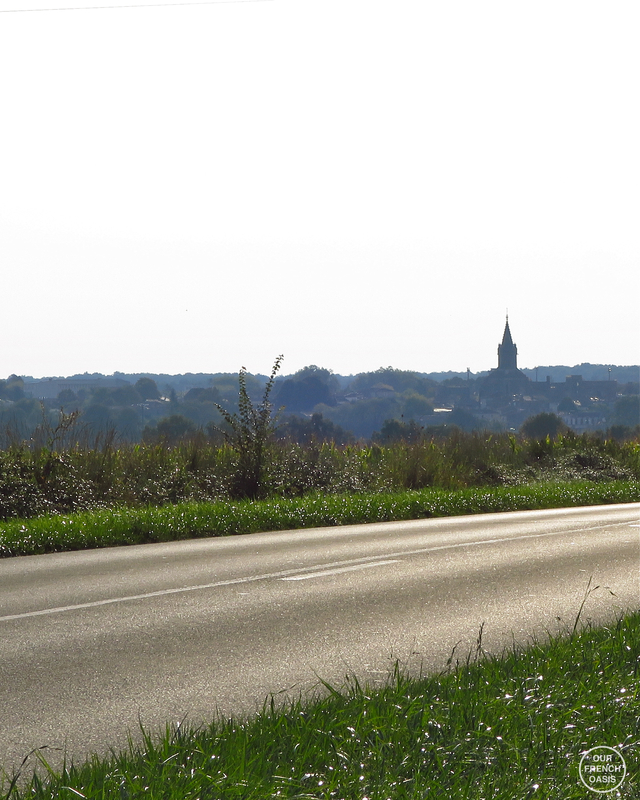 I relish how lucky I am to have such a beautiful early morning drive each day following the church steeples from village to village. On the way home yesterday I stopped and took some photos, trying to capture the very essence of what makes the school run so special and why I never tire of it. This morning it was such a beautiful day I took the time to dawdle again and take a few more photos. 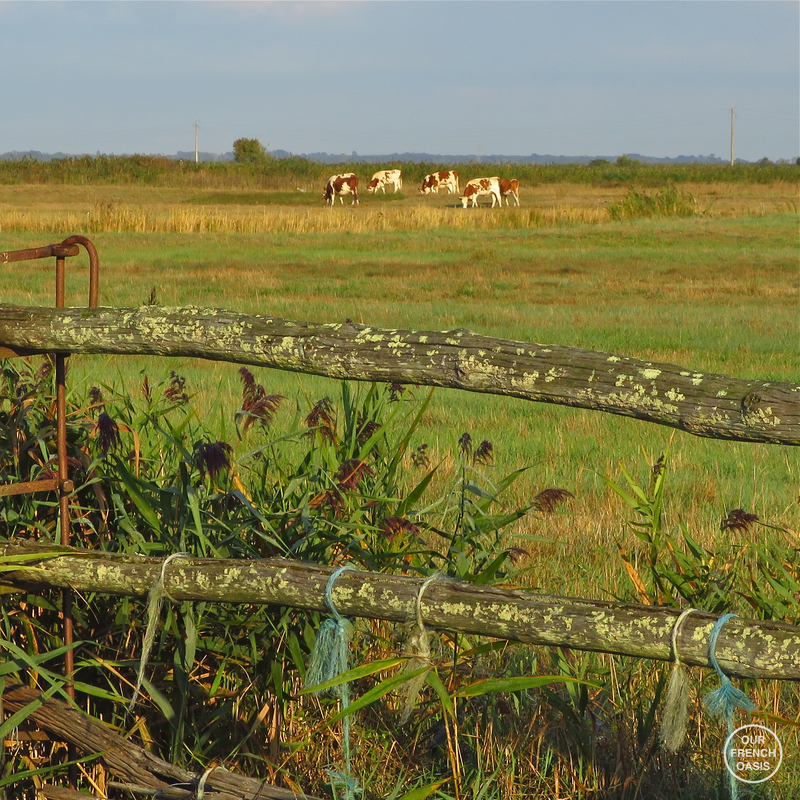 It was one of those early mornings when you just want to be outside; the air had a definite coolness to it, and the sultry humid air of mid-summer is slowly waning; it’s being replaced by something just a little fresher. 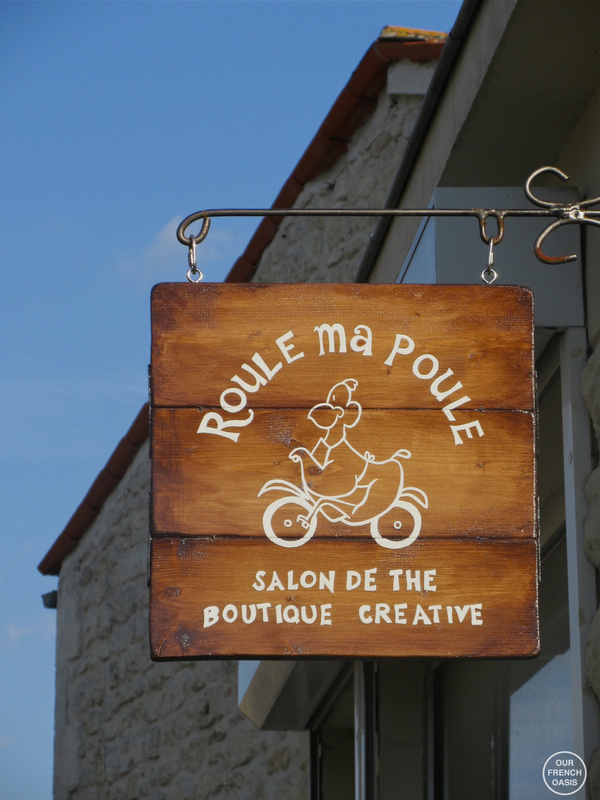 I noticed this new sign in a nearby village, Roule ma Poule, it’s a new Salon de Thé due to open this coming Saturday; Roule ma poule does not mean ‘roll my chicken’, which is the literal translation, but is rather more an expression similar to ‘Let’s go!’. 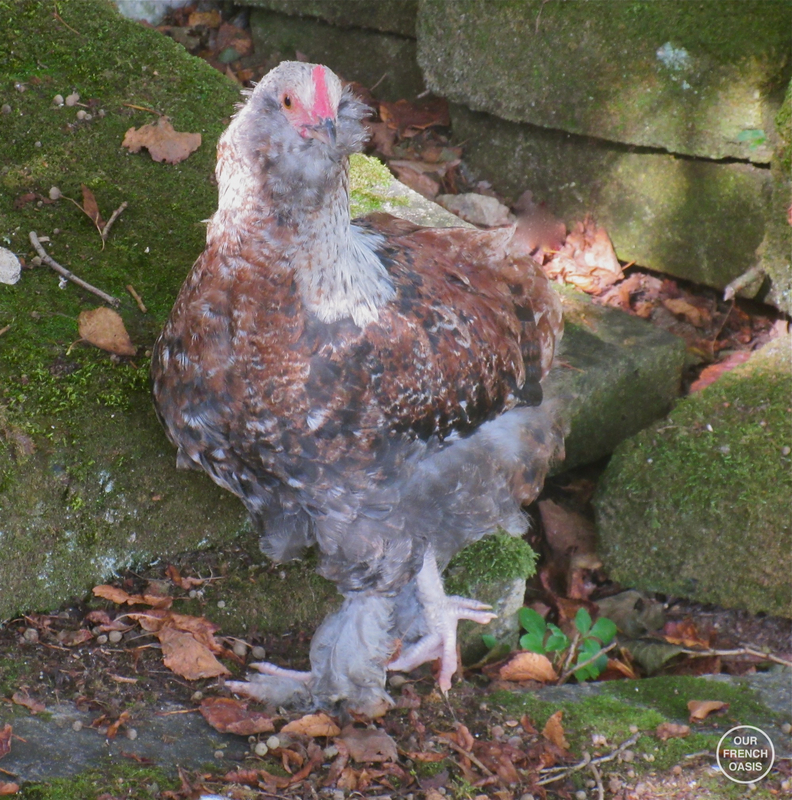 It should’t be confused with ça roule ma poule which in total contrast means more “are you okay, little one ?” in a casual way, with perhaps a wink! 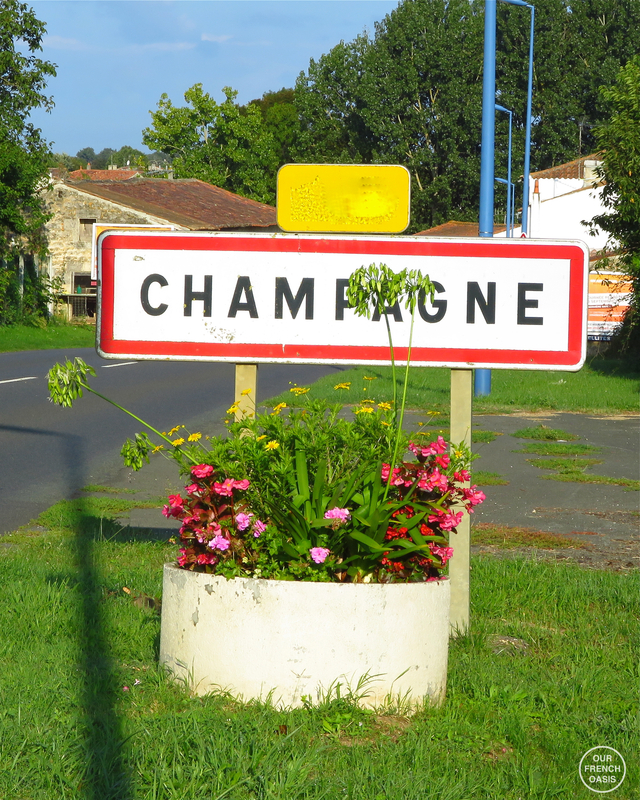 Roddy – who is pretty fluent in French – read an amusing expression last year which he had understood was just a local term for ‘bad weather’; he happily went around repeating it to all and sundry last winter, thinking he had a grasp of the local patois. Unfortunately, little did he realize that in fact what he was saying, was indeed very local, but also extremely rude (but that’s another story!). In short beware of odd phrases, they don’t always mean what they say at all! Still, summer may be fading, the sun may be just a little weaker and the nights a little cooler, but the days are still beautiful; with solar-heating the pool is still around 30˚C and I am hoping there will be much splashing after school and at weekends for at least another month, if not two! To confirm that the holiday season is not totally forgotten some of our favourite friends are coming over to visit from America at the beginning of October; yesterday they phoned to confirm they had booked their flights and we couldn’t be more excited – I cannot wait to share our little corner of France with them. Our vegetable garden is still producing wonderful food. We still have lots of carrots, plenty of melons, loads of peppers, an abundance of courgettes and aubergines, and a few lettuce. The grapes are ripe and soon it will be the turn of the persimmons and olives. The tomatoes were hit by an end of season late blight which took hold in a matter of hours after one particularly strong storm accompanied by an overnight downpour. But I can’t complain as the freezer is stocked with homemade tomato sauce and ratatouille, it is Roddy who has labored over the tomatoes with some dedication at the stove and the freezer is looking very healthy. 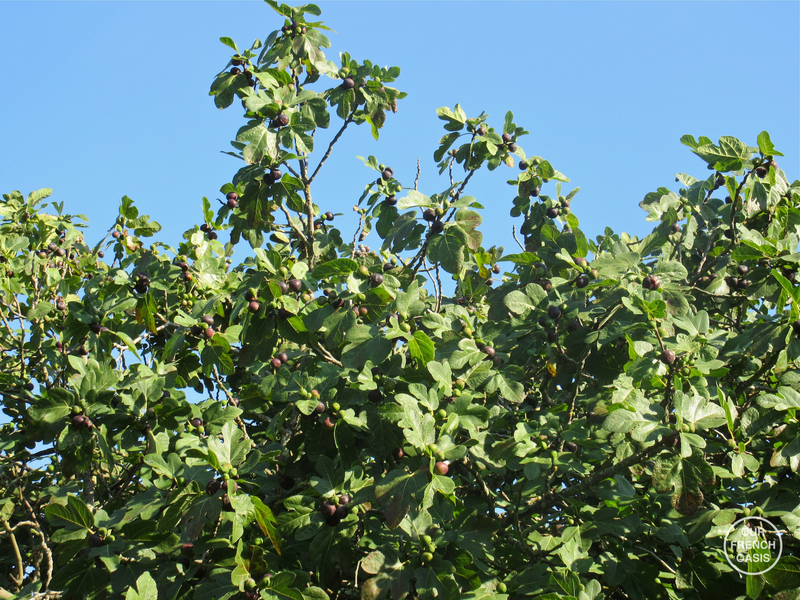 The hedgerows are overflowing with blackberries and sloes and our fig tree is heaving with fruit – right now we’re getting a trug-ful a day ! The rest of the garden is still looking relatively good despite a tough summer for plants with searing temperatures and very little or no water. 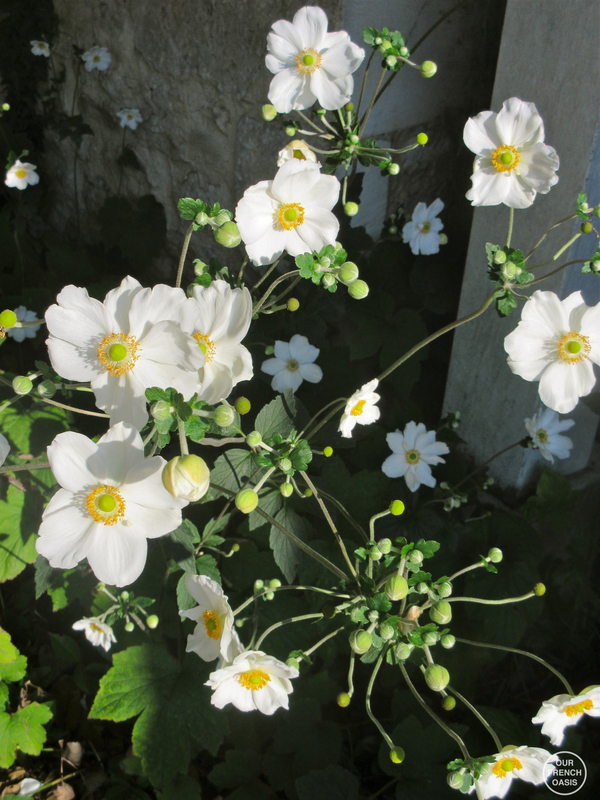 The Japanese Anenome have come into their own and are flowering in all sorts of corners that otherwise lie forgotten. Last night for the very first time I made confiture de figues. In Italy it is a firm favourite and I have eaten it several times before, but never made my own. It is delicious with cheese and I am going to try it out on several friends who are coming for a bbq on Sunday. My many little sous-chefs here confirmed that it tasted fab while warm, so it’s looking good ! In other news, it’s been a difficult summer for the chickens that has seen us back and forth to the vet several times; I can almost hear the vet clap his hands together as he sees les fous Anglais (crazy English) arrive at the door for yet further medicine for their chickens; these are drugs that costs 20€ a go for a chicken that cost 11 euros! However, suffice it to say that not all has been a success and there is sadly now more than one cross at the end of the garden. But we have treated a respiratory virus that seemed to plague several of them with (fingers crossed) complete success. Out of the eggs that Rosie sat on so patiently and hatched we kept one faverolle chick who we really hoped would be a female; it was lighter than the rest of them which we had given away but alas, the remaining ‘she’ is very much a ‘he’, who we have named – and I have no idea quite how this came about – Falafel! He is now thirteen weeks old and very cute; he has taken to following me around the garden cheeping wherever he goes and for some bizarre reason he thinks the two ducks are his parents. For the time being there is no fighting between him and Fritz and so for now his home is assured with us. He does sleep separately from the others and much to his dismay, Evie still thinks he is there just to be chased, no matter what we do to stop the fun and games…. Talking of ducks, Penny and Adrian are thriving, but – and it seems there is always a but – Penny is not a lady, alas, but a male! We have two male ducks and not the couple that we thought we were given! We didn’t have the heart to rename him so he is now a male duck called Penny! 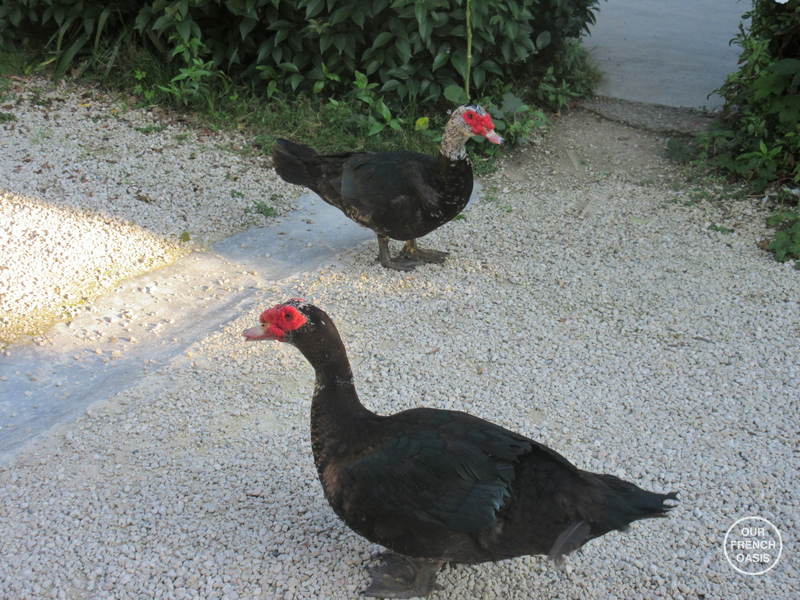 The two of them went through their teenage stage of being a little standoffish and aggressive, but they’ve now settled into a happy domestic partnership who once again eat out of our hands – tame and as gentle as can be. I guess as there is no dominant male any longer life is easy! It does make me all wistful and dreamy when I read your latest adventures. Well done for the fig confit – I too have a very rapant fig which is threatening to undermine the house – perhaps I ought to relieve it of its figs and follow suit before I do a jack and the beanstalk on it – either climbing it in hope of a golden egg, or hacking it down before it does any more nonsence to our foundations! Only one of mine headed off to school in shorts, and to my view he was rather brave because it was a very fresh morning! All of ours are still in shorts, chilly mornings but mid 20’s by the afternoon. 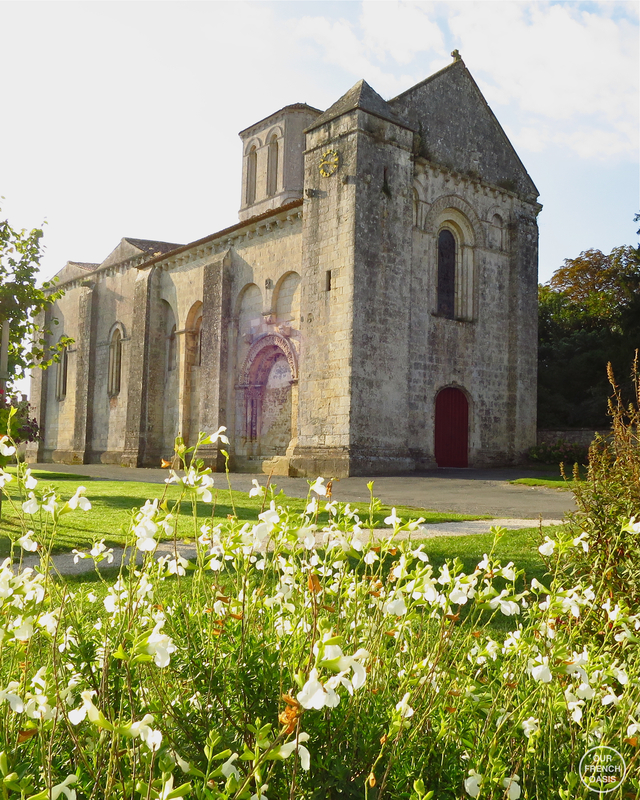 In fact the college and Lycee both have their days out so everyone can get together and get to know each other at the beach today and tomorrow so glad the weather is good, Jack’s was today, he went scuba diving for the first time – a great way to start the school year! Our fig tree is due for a very big cut back this winter, it’s too big and taking over the courtyard it sits in!!! Oh LOVE LOVE LOVE – merci! Thanks for the shout-out! I teared up!! xoxoxo The photo of the girls and their rolling bags made my heart so happy. I am about to make fig jam too. My tree is groaning under their weight. Summer always seems to fly by so fast, but at least you still have lots of great veg by the sound of it. Enjoy the last warm days. I watch all the children with heavy backpacks and wonder why rolling packs aren’t used here in The States. Surely makes sense to me. Fig season down here in TN and enjoying as many as I can grab. Made a fig compote to accompany chicken breasts topped with local feta. Yum. In some ways the French (European) idea of taking August off sounds lovely until I consider what that might look like in some areas of the “entitled” US. Not that everyone here is boorish or self-important, but living near the nation’s capitol means that I encounter too many of both. And, frankly, too often, the US way of life and focus on work as the be-all and end-all of existence, makes even holidays seem like work. But it does seem nice to think of an entire country all doing a “La Rentréere” together. So instead, I will enjoy your photo-essay and imagine the fresher air (which I am looking forward to in a big way; it was 96 ugly, humid degrees here yesterday). 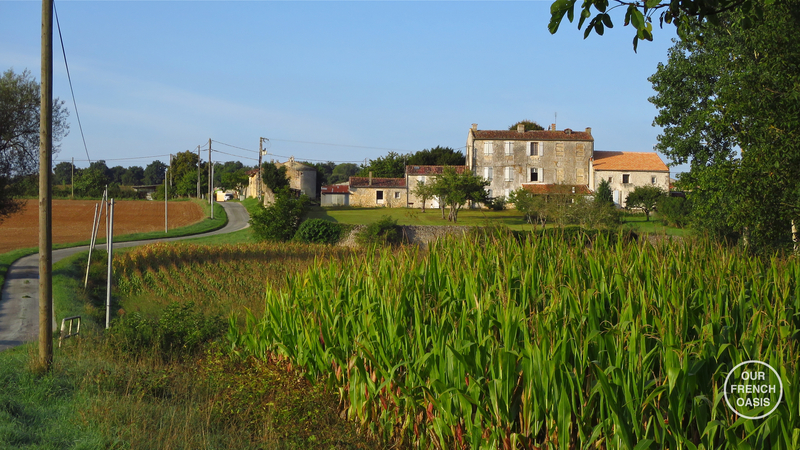 Lovely wistful post about la rentrée; I feel very much the same way, but summer really does continue on for another couple of months here thankfully. (Though our pool is not heated so swimming days are almost over). 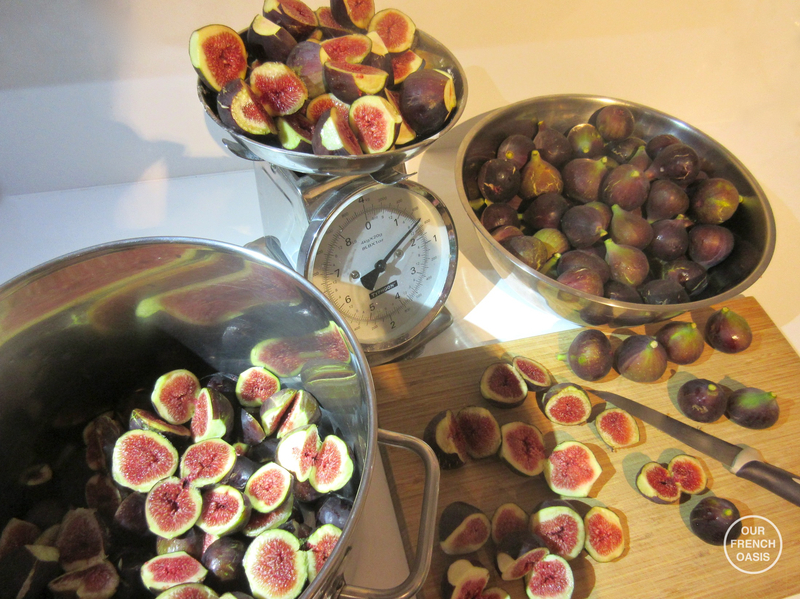 Your figs looks so delicious, I love them in just about any form including jam/chutney. 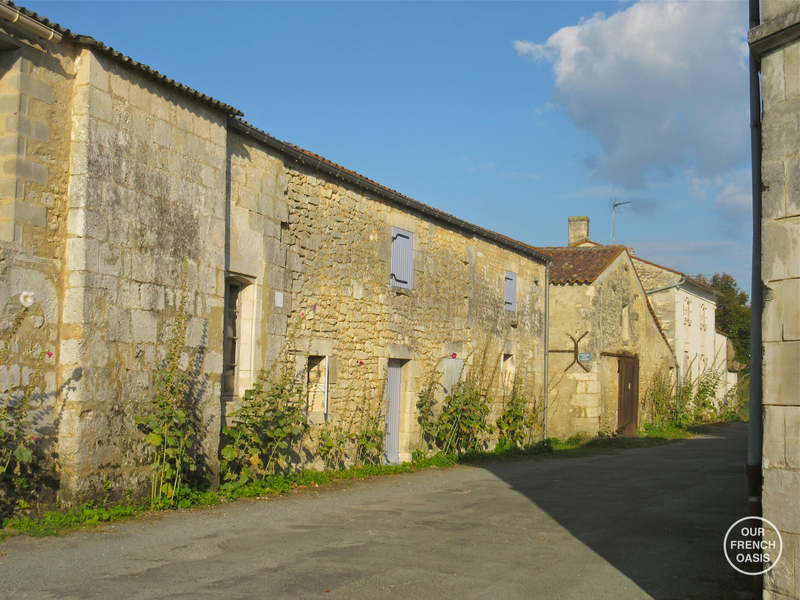 I’d love to see this post linked up to #AllAboutFrance, it would make a great addition to this month’s collection…. Thanks Phoebe, I shall link it up this morning. I know summer does continue, we sat outside and had a long lunch with friends yesterday and it was perfect, it’s just the nights that have taken a real drop at the moment here. 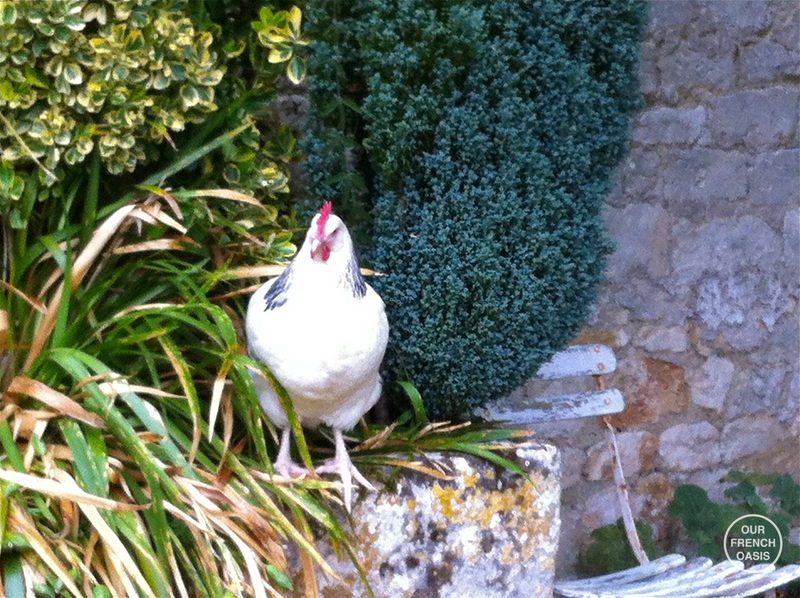 Faverolle roosters are sweet-tempered. I love them. 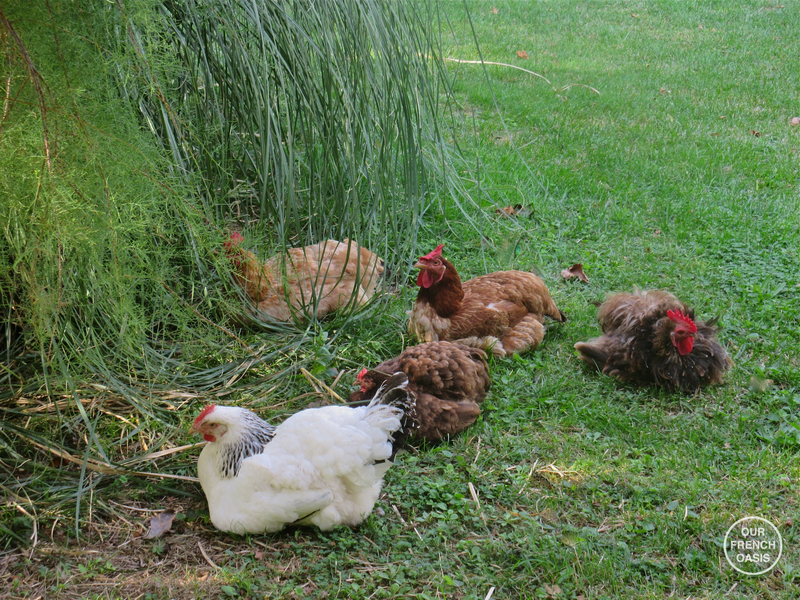 I have muscovies, too: Sao-Ree, his mate Jing-Jai and their daughter Bernadette. They are known as the Dactyls. When Sao-Ree was a duckling, I thought he was a she and his name was originally Sallee. There’s also a rescue goose I have who came to me as Gigi and now “he” is still Gigi. Freddie (my gander) says Gigi is his costume designer and that since he’s named Gigi, Freddie won’t have to give him a female pet name like he did all his male friends back at Garden Lodge.